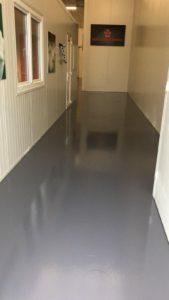 Last week our working area and our cold store got a new layer of coating done by Rubcoat. We are very happy with the result! Last week the yearly HLP meeting was held at Pleunis Biochamp BVBA in Kinrooi Belgium. 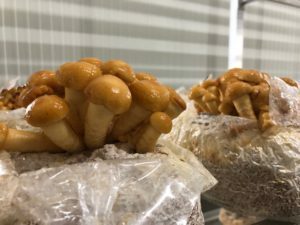 This company produces Grey Oyster, King Oyster, Shiitake and Maitake since 2009. 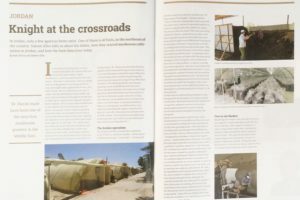 Recently they extended in a brand new farm of 2000 square meter. All mushrooms that are produced are Biological produced and certified. 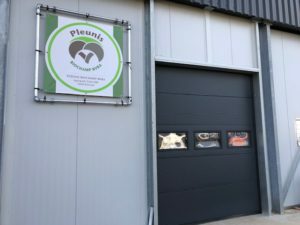 Koert Pleunis buys the substrate from a few different suppliers, one of these suppliers is Kernser Edelpilze (CH) which uses Hollander Spawn’s SHI620, P80, ER300 and ER360. We wish Koert lots of success with his new production facility. 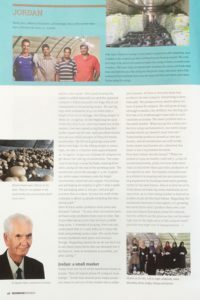 In the last edition of Mushroom Business there was a nice article about one of our oldest customers Al Faris in Jordan. 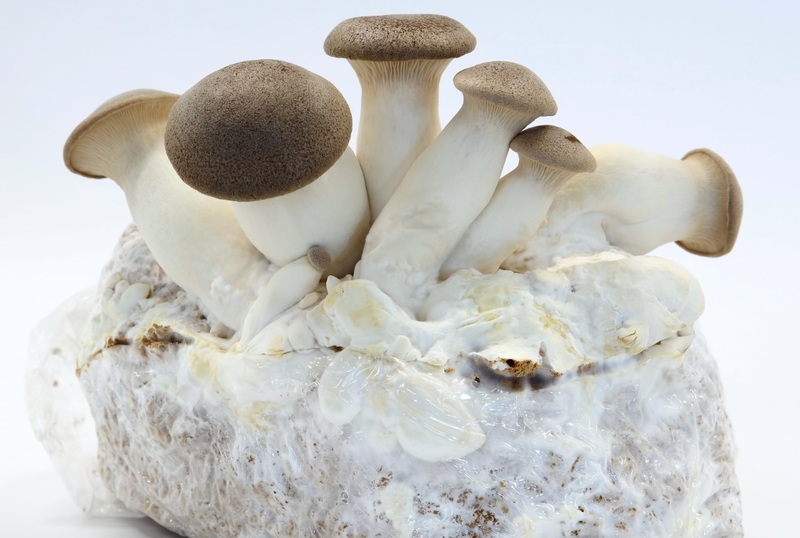 From the beginning of its activity in the production of mycelium for mushrooms and in particular the best known and cultivated variety in the western world, the Agaricus bisporus, Italspawn has always taken into account and experimented with the production of “other” strains known as “Exotics”. 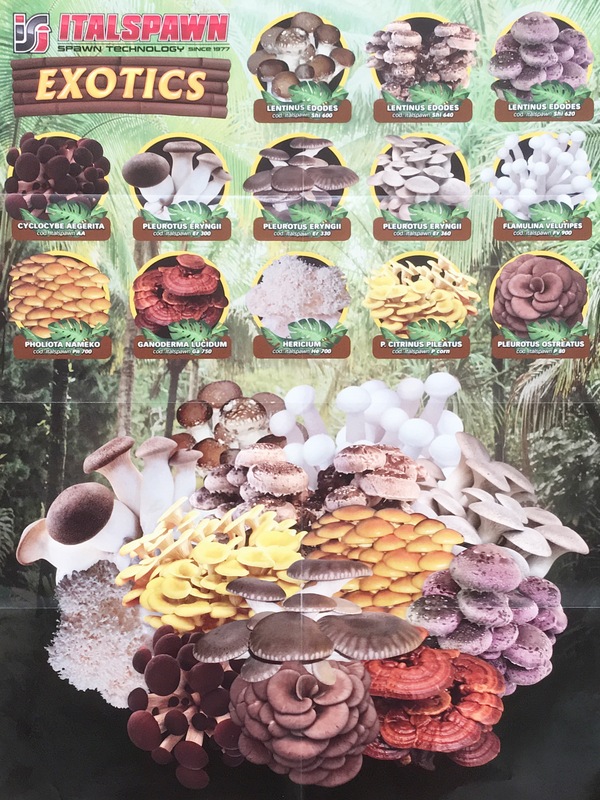 Through the years we have collected and exchanged, around the world, the most varied strains to test and select them in the best way, thus becoming the company that has always had the largest number of cultivable varieties of the species Pleurotus ostreatus and the number one in the world in production and sale of the “pioppino” (Cyclocybe aegerita). 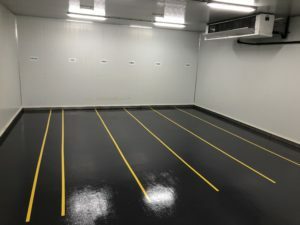 Thanks also to the construction of new structures to be used for the strengthening of the technical department dedicated to this activity, Italspawn has always been up to date with the evolution of the exotic industry in Europe and in the world in order to fully satisfy its customers most varied needs. Mushroom–beef blends can tackle expanding waistlines and carbon footprints. Big burgers and petrol-guzzling vehicles: it’s a match made in the United States, with its drive-through fast-food joints. But last month, the US fast-food chain Sonic Drive-In tweaked its menu to introduce something different: a burger with some of its beef replaced with mushrooms. The Signature Slinger cheeseburger, Sonic promises, will deliver drive-through customers “all of the flavor with none of the guilt”. The claimed conscience-easing credentials of the Slinger are twofold: reduced calories and a smaller carbon footprint. It’s targeted at those who wouldn’t switch to a non-meat alternative, such as soya. And the burger does not come alone. It’s merely the latest offering from a movement that has united chefs, scientists and health and environmental advocates. Led by the Culinary Institute of America in Hyde Park, New York, with predictable support from mushroom producers, the initiative seeks to promote both public health and environmental sustainability, by replacing 100% ground beef in some foods with a blend that contains up to half mushrooms. It’s the biggest new foodie trend that you haven’t heard of. Harvard University in Cambridge, Massachusetts, and the University of Southern California in Los Angeles are among the institutions that have started to cook with it routinely. Does the science support the claims? Beef has an outsize environmental footprint. Per gram of protein, beef requires on average 50 times more land and produces 100 times more greenhouse gases than do beans and other plant-based proteins. Replacing 30% of the beef with mushrooms in the roughly 10 billion burgers that Americans eat each year would reduce emissions equivalent to taking 2 million cars off the road, according to the World Resources Institute, an environmental think tank in Washington DC. Still, mushroom cultivation is not a green panacea. 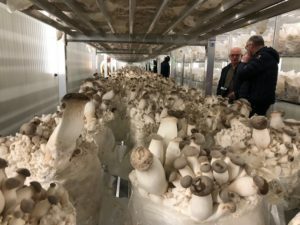 Mushrooms are fussy about temperature and are usually grown inside energy-hungry climate-controlled sheds. A 2012 analysis reported that mushrooms have a greenhouse-gas impact almost ten times that of vegetables such as onions, carrots and cabbages (M. Berners-Lee et al. Energy Policy 43, 184–190; 2012). Although individual consumers who choose a mushroom substitute might feel less guilty, demand for beef continues to rise alongside incomes around the world. As such, scientists and governments must continue to look for ways to reduce the impact of beef farming itself. Expanding cattle pasture is the main driver of deforestation in the Brazilian Amazon, and one-third of the world’s cropland goes to feeding animals — usually cattle. Research is needed to raise pasture productivity, improve feed and reduce methane emissions. So, too, is a renewed effort to combat deforestation. On the health front, research has shown that substituting one-quarter of the beef in meals with mushrooms decreases caloric intake by about one-third. Saturated fats also drop, and chefs can often make do with less salt. Tests across US school dinners suggest that these benefits seem to come without a negative impact, such as leaving pupils hungry. In an era of expanding waistlines, this is potentially good news. Earlier this month, health authorities in the United Kingdom called on food manufacturers to voluntarily reduce the calories in processed products by 20% by 2024. Doing so would save nearly £9 billion (US$12.7 billion) and prevent more than 35,000 premature deaths due to obesity-related illness over 25 years, Public Health England estimated. Sonic’s blended burger is substantially smaller than its regular cheeseburger and would more than deliver on that goal, starting at around 340 calories compared with 580 calories for the chain’s standard. Will it and other mushroom-blended meats succeed where health and environmental advocates have failed, and persuade people to eat less beef? Certainly, it seems a better approach than simply asking people to change their ways by pointing out the cost.